Many people think that when they are blowing green mucous out of their nose that they have a sinus infection and that requires antibiotics. That is wrong. That’s called rhino sinusitis and the evidence that antibiotics expedite recovery is scarce. The following are the new guidelines on treating or not treating this condition, followed by an article about this from the Wall street Journal. A new guideline updated recommendations to improve diagnosis, testing, and treatment of adult acute rhinosinusitis (ARS). The guideline was issued by The American Academy of Otolaryngology-Head and Neck Surgery Foundation. Changes in content from the prior guideline issued in 2007 include extension of watchful waiting as an initial management strategy for uncomplicated acute bacterial rhinosinusitis (ABRS), changes in recommendations on first-line antibiotic therapy for ABRS, and new action statements on chronic rhinosinusitis (CRS) that focus on chronic conditions and modifying factors. The full guideline is available online in the April Otolaryngology-Head and Neck Surgery. Many people with spring allergies might also suffer with symptoms of another ailment—the facial pain, fever and nasal congestion that go with sinusitis. New medical guidelines say taking antibiotics isn’t the only effective treatment for bacterial sinusitis, as is widely believed. The guidelines, from the American Academy of Otolaryngology—Head and Neck Surgery Foundation, say antibiotics fare only slightly better than waiting for the infection to go away on its own. The foundation, part of the professional medical association of the same name, has for years recommended “watchful waiting” for people with sinusitis before they resort to antibiotics. The latest guidelines, published last week in the foundation’s journal, strengthen that recommendation, said Richard Rosenfeld, who chaired the group that devised the recommendations. The guidelines apply to acute sinusitis, in which symptoms last 10 days or more. Patients should then wait another seven days, for a total of 17 days, to see if the infection goes away on its own. If symptoms don’t improve, or worsen, antibiotic therapy should be started, the guidelines say. Patients with another form of infection, known as chronic sinusitis, which can last 12 weeks or more, need to see a doctor to confirm a diagnosis and discuss treatment. Some chronic-sinusitis patients have surgery to remove nasal polyps that can contribute to the underlying inflammation. Dr. Rosenfeld said an analysis of randomized controlled trials found on average that about 86% of patients taking a placebo for acute bacterial sinusitis got better in one to two weeks compared with 91% of those taking antibiotics. The difference in outcomes is “statistically significant, but it really makes you question whether all these people need antibiotics,” he said. An overuse of antibiotics can make the drugs less effective against the bacteria they are intended to treat by fostering the growth of antibiotic-resistant infections. It can also wipe out the body’s good bacteria, which help digest food and protect the body from infections, among other functions. 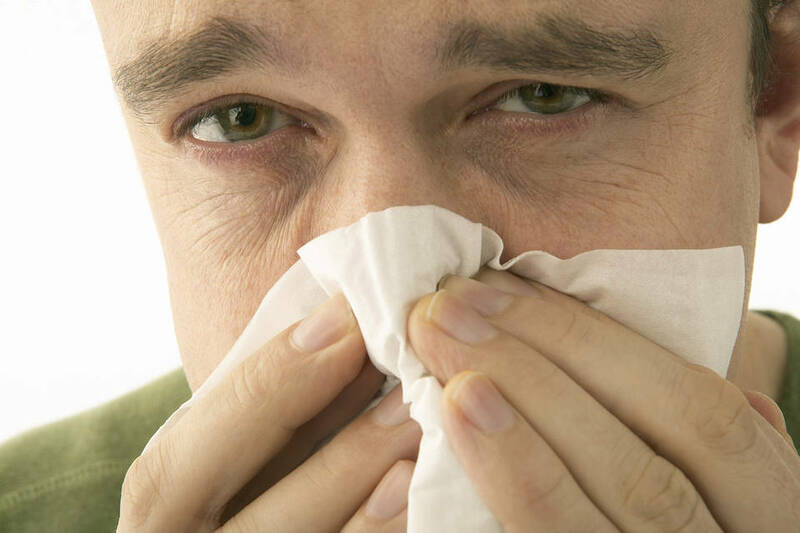 One in eight adults in the U.S. at some point contract sinusitis, which develops when viruses or bacteria infect the sinuses and can occur during allergy season or a cold. The tissue lining the sinus cavities swells and blocks the passages that normally drain the sinuses. Fluids accumulate, causing congestion and pressure or pain in the face. Most cases of sinusitis begin as viral infections. If it lasts for 10 or more days without improvement, it is generally believed that a bacterial infection has set in, Dr. Rosenfeld said. Sinusitis is also considered to be bacterial if it lasts fewer than 10 days but gets worse after an initial improvement. Fewer than 2% of viral infections eventually become bacterial sinusitis, he said. Still, studies show that doctors prescribe antibiotics for sinusitis patients about 90% of the time, said Daniel Merenstein, an associate professor of family medicine at Georgetown University Medical Center. More than one in five antibiotics prescribed to adults are for sinusitis, studies show. “Sinusitis is one of the top reasons for antibiotics,” said Dr. Merenstein, who helped review the new guidelines before publication. “If people would follow this it would be great because it would really decrease antibiotic resistance, which is such a big problem in the United States,” he said. Uncertainty whether a case of sinusitis is bacterial or viral often leads to doctors overprescribing antibiotics, Dr. Merenstein said. He said he is currently applying for funding to conduct a 760-person study looking at the treatment of sinusitis with antibiotics versus with neti pots, a popular saline-irrigation treatment to flush out the nasal passages. The study also will look at the effectiveness of a blood test to tell if a case is viral or bacterial, he said. In rare cases sinusitis can spread to the eyes or brain. Experts recommend seeing a doctor if a patient has a progressive fever, worsening headache, change in vision or becomes confused. Many sinusitis sufferers also have allergies, said Anju Peters, an associate professor of medicine in the division of allergy and immunology at Northwestern University in Chicago. About one-third of people with acute sinusitis have allergies and some 40% to 60% of those with chronic sinusitis have them. “They definitely tend to coexist,” said Dr. Peters, who helped review the new guidelines. Still, there isn’t hard evidence to show that episodes of sinusitis are more common during allergy season, Dr. Rosenfeld said. 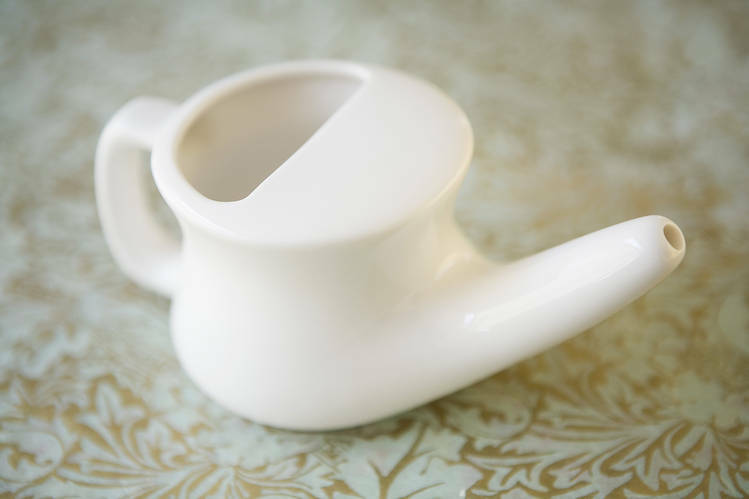 Doctors say there is little evidence for ways to help prevent sinusitis. One proven technique is to stop smoking, which damages the tissue that moistens and protects the airways. The guidelines recommend treating acute sinusitis with over-the-counter pain relievers, such as acetaminophen and ibuprofen. Also recommended is irrigation of the nose with a saline solution, which thins the mucus in the nose, promotes drainage and reduces inflammation. Studies have found doing a high-volume saline irrigation of the nose once a day is effective for both acute and chronic sinusitis. Another technique doctors suggest is using a bulb syringe to draw out fluids from the nasal passages. Nasal steroid sprays commonly used for allergies also have a small benefit and decongestant sprays, to be used for up to three days, can relieve stuffiness.